Avail from us technologically advanced Vibro Separator that is ideally used for wet and dry separation of the material. Our Vibro Separator is a screening unit that vibrates in three planes along with vertical axis. 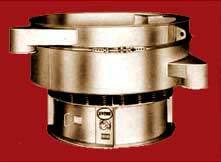 These Vibro Separators are used for handling heavy or light, dry or wet, coarse or fine, hot or cold etc.